This Qasr al- Hosn is one of the oldest one stone buildings. This building located in Abu Dhabi city. So let us start with the essential facts of this oldest one stone building. You can access this building if you are on the First Street. You can easily track this subjected building if you are currently present on the First Street. This building houses and comprise of cultural foundation in it. The other name of Qasr al- Hosn is the White fort. Its original color was not white, but it was then later on painted with a white color. This color was given to this stone building during the time of its renovation, that is from the year of 1976 till 1983. The construction span of this building mentioned above was completed in the 1761 year. This Qasr al- Hosn was later on expanded and given the form of a small fort. This fort Qasr al- Hosn then became the permanent living home residence of the ruling Sheikh. This building acquired the present shape during the time of the 1930s. 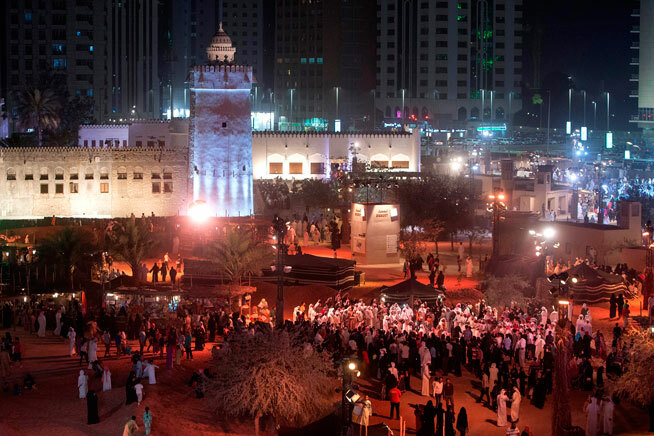 It is a festival home for United Arab Emirates people. So when you will see and visit this stone building, let us know!